If you have a foreign key constraints on your table, you can’t delete records from parent table, but you can delete from child table. The main reason we use the foreign key constraints is to maintain data integrity. Now, you can delete or update with out any restriction because of foreign key constraint. But you will mess up the data integrity. There are global and local system variables. If you set the global variables it applies to all clients which are connected. If you change the local variable it applies to that current client session only. Here is how you can query local and global variable. NOTE: Make sure you to revert the variable back to original state to maintain data integrity in your database. 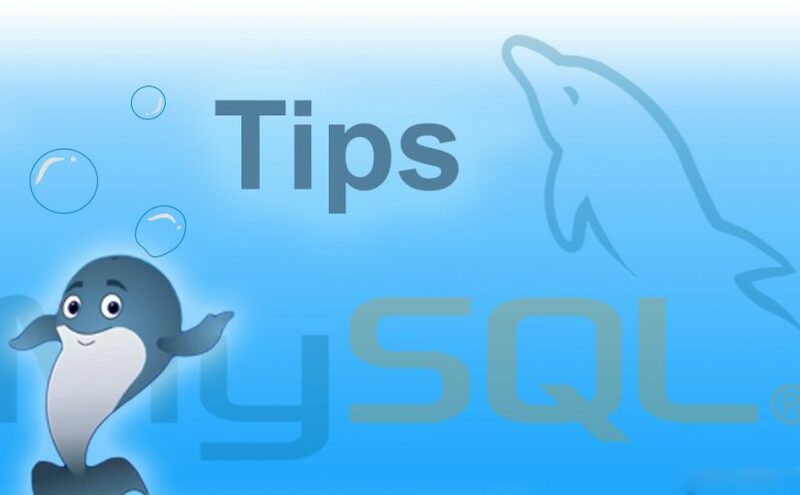 This article will take you through few MySQL tips those are pretty helpful. Do you know, if you are working offline with mysql and you need some help on syntax. You can get it right away on terminal with simple statement help followed by command or statement. The above statement in the mysql console will give you the whole syntax and it’s usage. SCHEMA is a synonym for CREATE DATABASE. You asked for help about help category: "Date and Time Functions"
Let’s say if you set pager to less, you will see your query output like wise when you read file using less command. You try the following statements. An other statement which very helpful in optimizing your queries and schema is explain . You can’t imagine how helpful this statement is, it will show how mysql is using indexes how many rows or records it’s searching for a result. Based on the report you can optimize the queries and even you can add indexes to table if required to speed up results. Other than few handy statements explained above, now we will go through few tips to avoid common pit falls in MySQL. Always try to avoid creating the user with wildcard host % . Doing so will mitigate the possible risks of getting hacked. Only give required permissions to the user, so other databases or things will not get screwed up either intentionally or accidentally because of user or script. This is useful to avoid common problems caused by either typos or accidental mistakes. Before you type commit, you can always review your changes and rollback if changes are unintended. You need to have a user account to execute queries on data. When you install mysql you will prompted to enter root user details or some times you might have installed mysql with root user and no password. It is recommended to have a password for root user after completion of installation and it is best practice to use different set of mysql users to serve different purposes instead of root user to mitigate security vulnerabilities. To execute any of the following instructions to create and edit user you have to connect with mysql server using mysql client. This command will reload users and their privileges. Note: Before MySQL 5.7.6 you have to give hash to the statement SET PASSWORD using password function. To delete an user, we use the statement DROP USER. WordPress uses md5 hash for password. We can reset wordpress user password using mysql single query. Replace, new_password and username with your password and username. We can say database schema designed is the best one if it is having no redundancy. If you want to avoid redundancy in your schema, normalize it after you design. Choose the right one CHAR vs VARCHAR. CHAR(15) will just allocate the space for 15 characters but VARCHAR(15) will allocate the space only required by number of characters you store. EXPLAIN statement is very handy in mysql. I’m sure it will spin your head. This statement will give you analyzed report. Where you can use it to improve your queries and schema. It works on both select and update. If you try it on update queries it will that query as select and will give you the report. Choosing right data type for you column will help you to get rid of many bottle necks. MySQL query optimizer will choose the indexes based on data type you used in query and column datatype. There are many MySQL datatype. ENUM is one datatype that mysql supports. By using this you can save lot of memory if you have predefined and predictable values in your database column. As you know indexes will help you query data much faster than expected. It’s very tempting to you indexes on unintended columns. Choosing index on every column or unnecessary columns will get you slow inserts and updates. You need to think of indexes as seperate table. Where MySQL needs to create a index for every insert in seperate table/file. It’s extra overhead. MySQL comes with default parameters. These parameters are not suitable if you want use mysql on dedicated machine or production. You have to tune these parameters. Formally we call them as system variables. MySQL manages the user with associated hosts. i.e, the user root@localhost can’t login to mysql from everywhere except localhost. but root@% can login from every where. Using only associated hosts will mitigate many attacks those are in your blind spot.